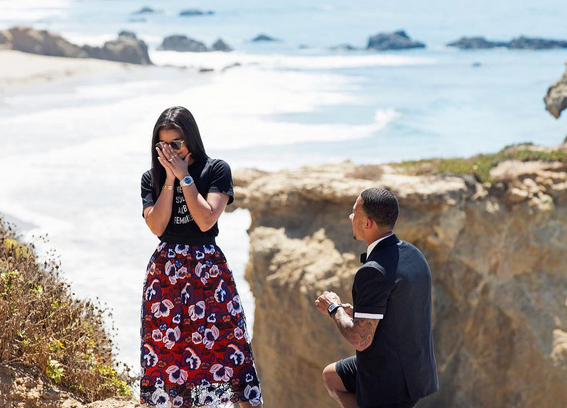 Manchester United player, Memphis Depay, 23 and Steve Harvey's step daughter, Lori Harvey, 22, are now engaged. 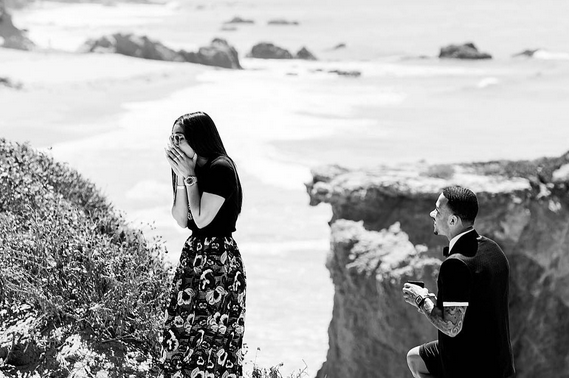 The two who have been dating for about a year, got engaged while on vacation in California. I mean is had for you to see someone that changes her surname to his step father but Lori did after Steve Harvey married her mother. Is it not because of money and popularity? I guess money can really do all things. 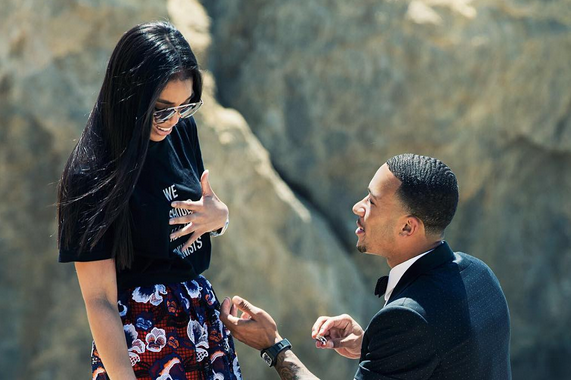 Depay proposed to Lori on Saturday and guess what!!! Yes is the answer. A very big congrats to the love birds.